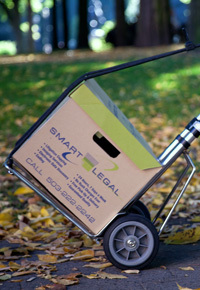 Smart Legal is locally owned and operated in Portland, OR.See below to learn more about our company. We are a document production service committed to great customer service, on-time delivery and exceptional product quality. We know that every job is different, and we take the time to work with our clients to ensure the finished product is exactly what you need. 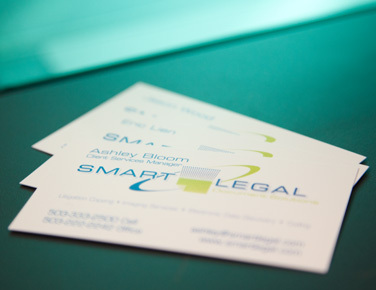 The team at Smart Legal is committed to building long-lasting and mutually beneficial partnerships with each of our clients. We recognize that these relationships are foundational to our success, and we take pride in providing outstanding customer service before, during and after your project processes through our downtown Portland facility. Smart Legal is pleased to share that we have implemented our new Green Initiative. We rolled out our new vibrant green boxes to celebrate a shift in the way we do business. In addition to a pledge from our staff to walk more and drive less while working downtown, we are also proud to now offer a recycled blend of paper at our client's request. The initiative represents our continued focus on our community and how we can be a responsible business and neighbor. Give us a call! We look forward to the chance to earn your business. 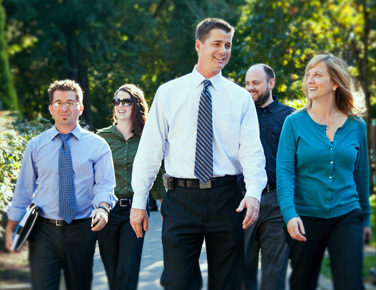 The Medical Resource Network, Inc.
O'Donnell Clark & Crew, LLP.